By this time in the school year, I always end up in a rut when it comes to packing school lunches. I fall into the trap of packing the same things day after day. 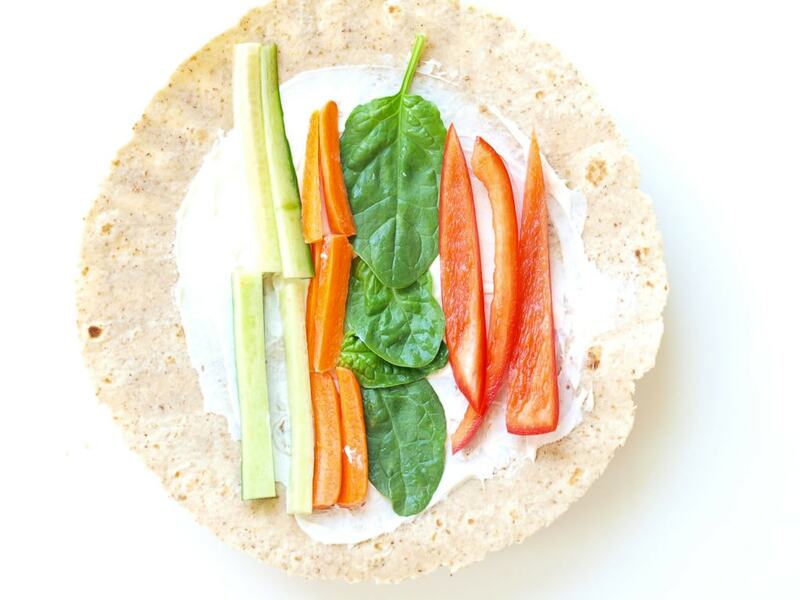 These kid-friendly wraps are inspiration for you (and me!) 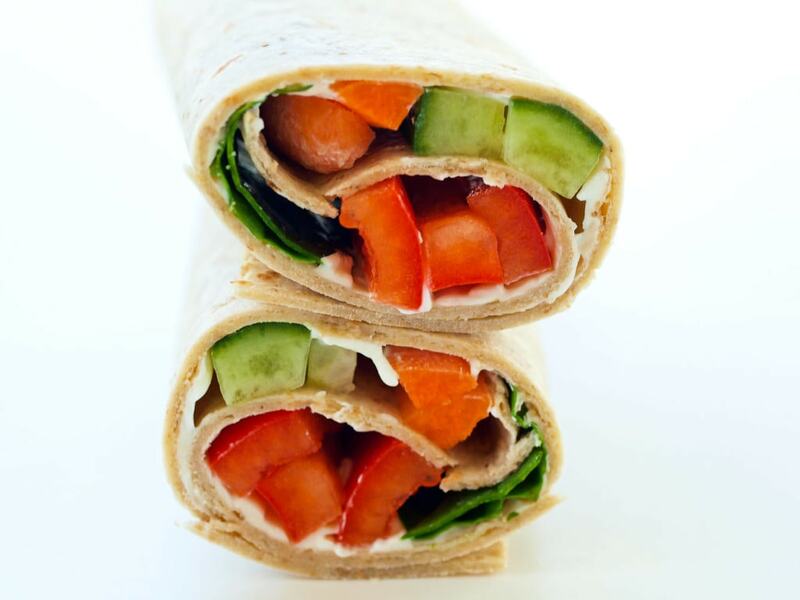 to change things up and offer some different choices for our kids’ lunches. 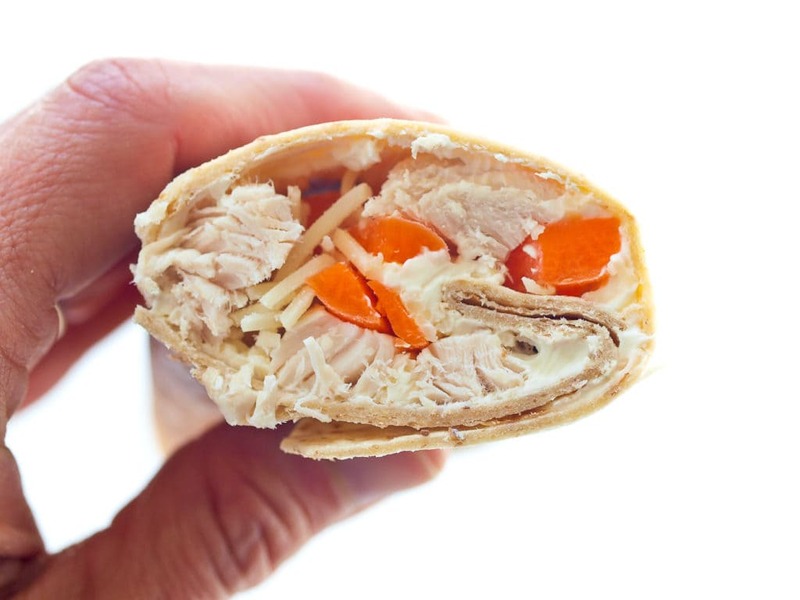 If you want to send the hot wraps to school, I suggest making them in the morning, wrapping them tightly in foil, and then sending them to school in an insulated thermos. 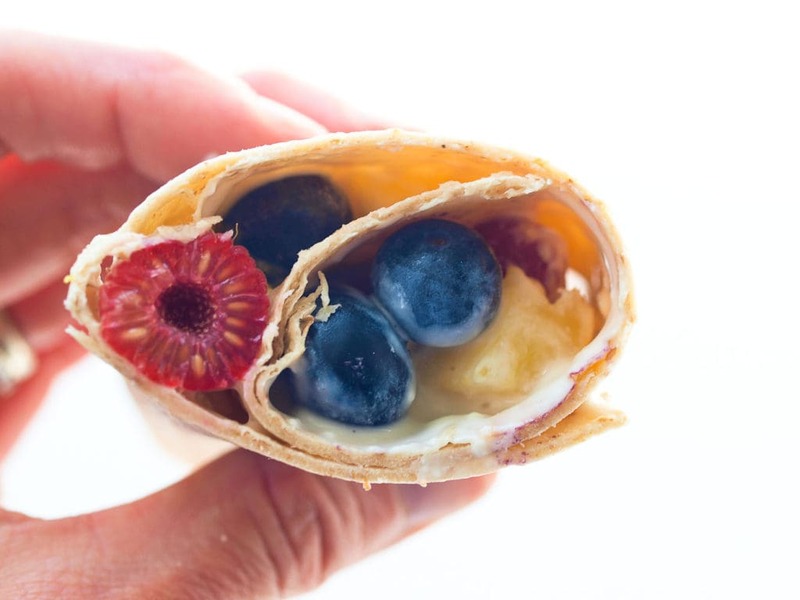 If you’re worried about the wraps staying together while traveling, I suggest sending a deconstructed wrap for you child to put together themselves at school. These stainless steel Bento-style containers are perfect for that. 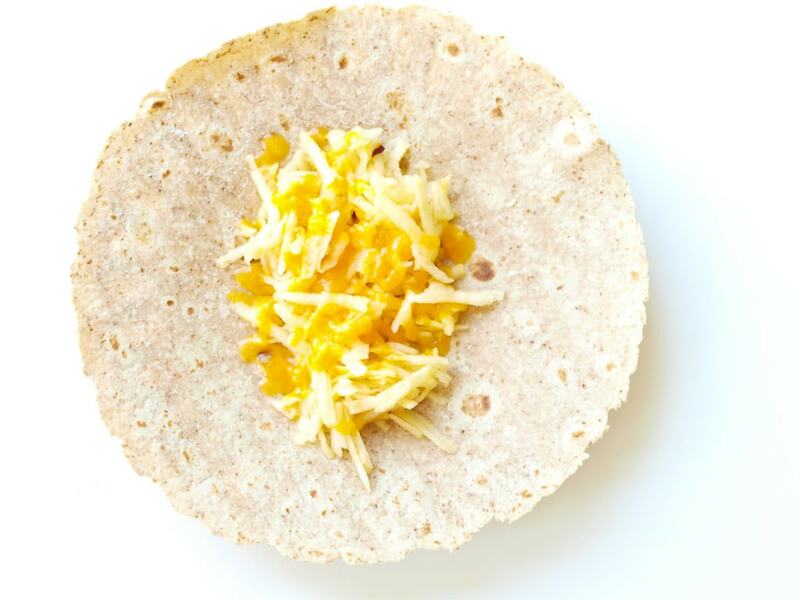 Because I know you will ask, I think these corn tortillas or these whole wheat tortillas are great options for any of these kid-friendly wraps. I can’t always find the organic version of these in our local groceries, but you can buy them in bulk on Amazon and freeze them. 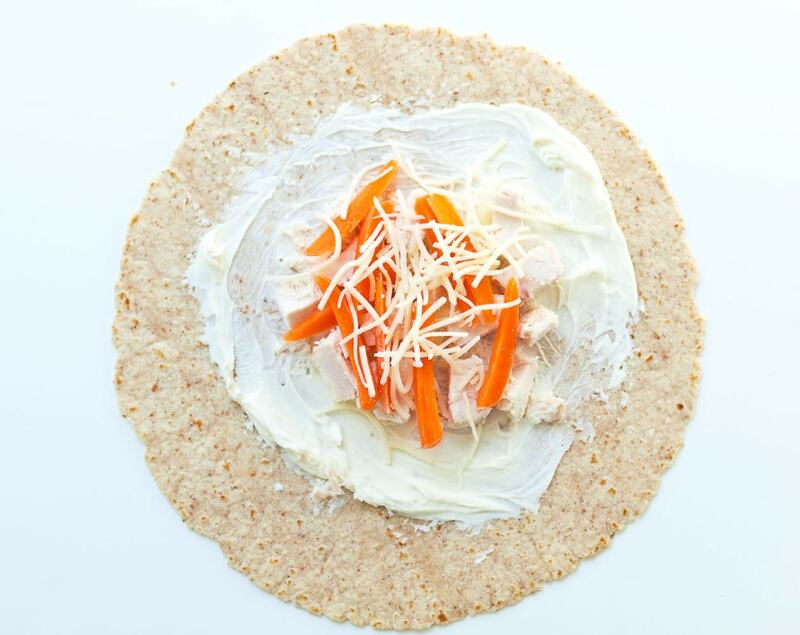 Shredded apple + shredded cheddar=delicious goodness! Put the whole thing under the broiler for a minute to melt the cheese before you wrap it up. I have one avocado-loving kid and one avocado-hating kid. 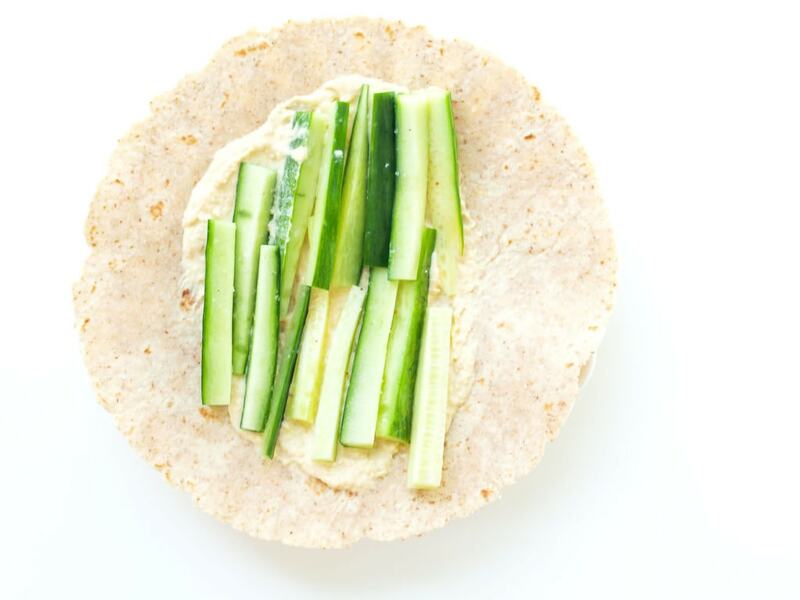 If you have an avocado lover, please try this wrap! You just have to trust me. 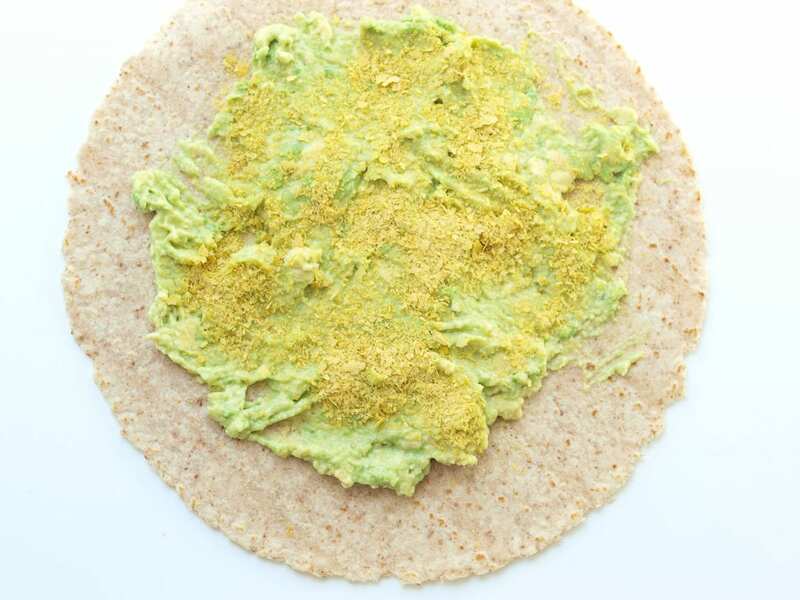 It’s simply mashed avocado with a sprinkling of nutritional yeast. If you aren’t familiar, nutritional yeast is a deactivated yeast that comes in the form of yellow flakes. It is a good source of B vitamins and is used by vegans and vegetarians a lot as a flavoring. 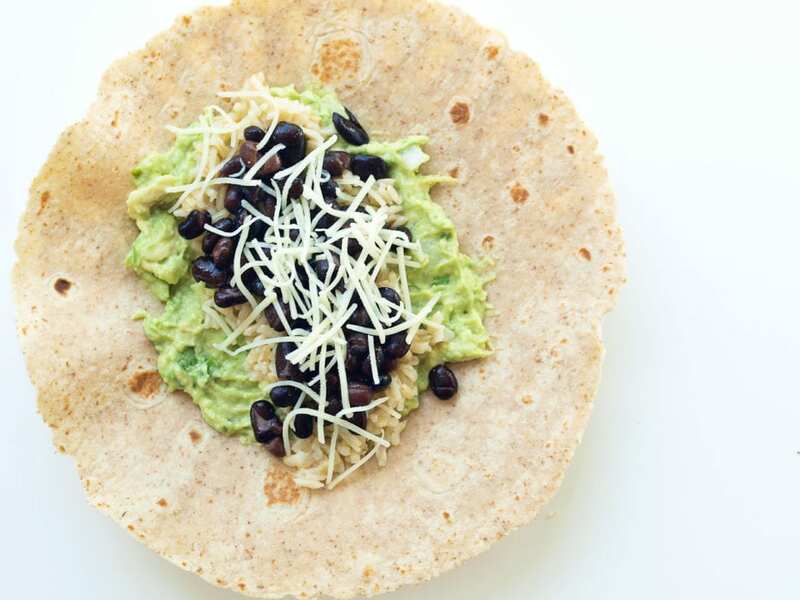 It lends a somewhat cheesy flavor to what you add it to, and it just works well with mashed avocado. 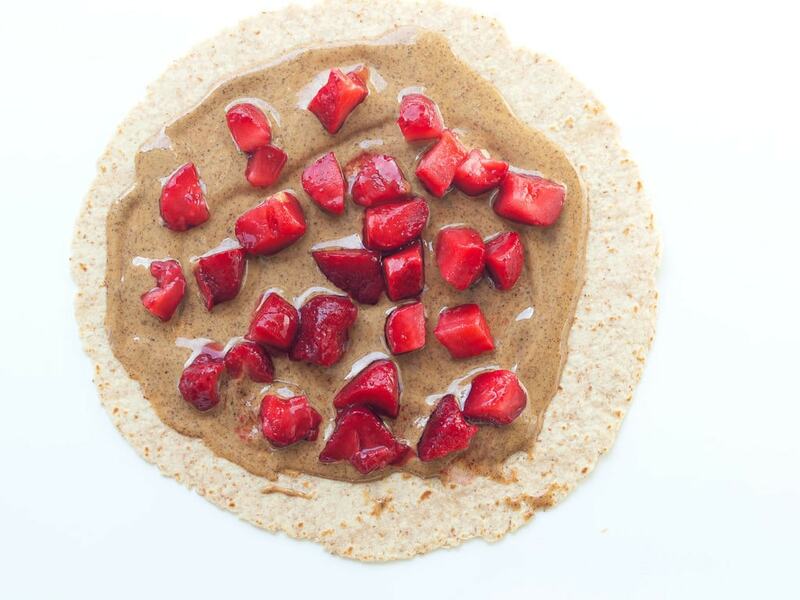 This is actually my daughter’s favorite sandwich, behind the peanut butter and jelly, and it works well as a wrap, too. I serve eggs for lunch more often than breakfast. So much so that one day I tried to serve my son eggs for breakfast and he said, “What?! 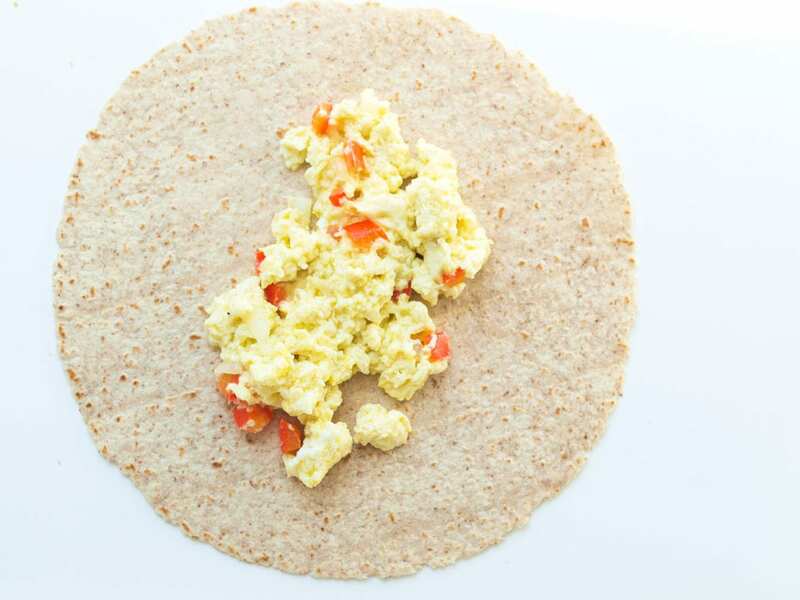 Eggs are for lunch!” This wrap can be for any meal, not just breakfast. I sauté some onion and red pepper (use your child’s favorite vegetables), then scramble an egg with it and finish it with a small amount of cheese. 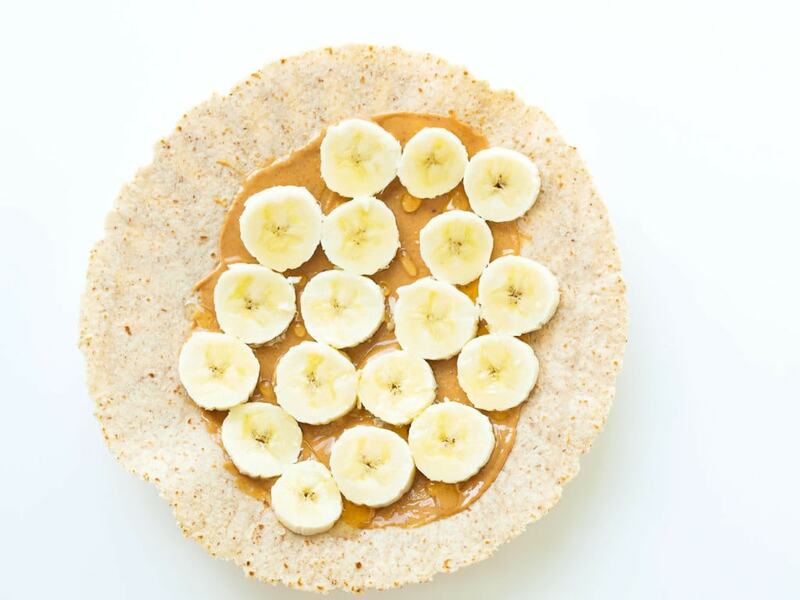 I hope you have found some inspiration for incorporating healthy wraps into your kids’ diets! 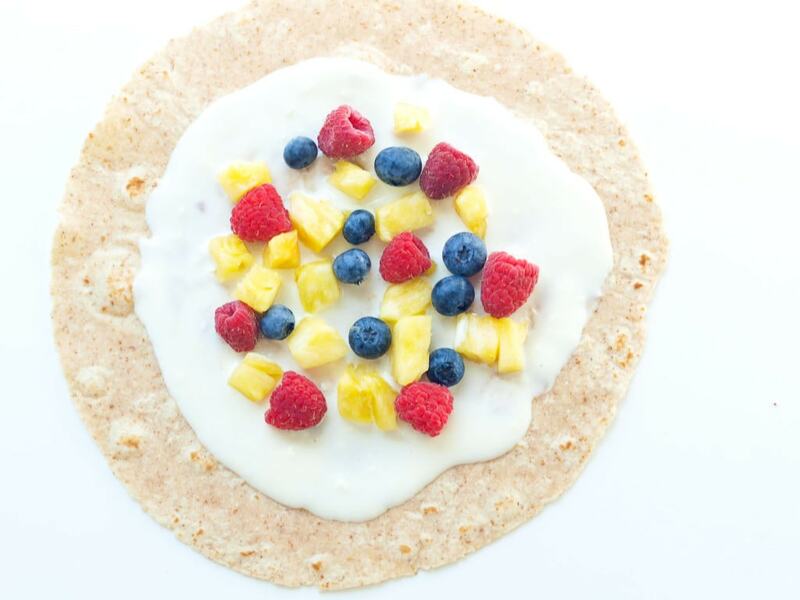 If you want more healthy lunch ideas for kids, check out this giant list of healthy school lunch ideas or this post with 2 weeks of healthy school lunch ideas. Links to products are affiliate links, which means if you use the link to purchase a product, I will receive a small percentage of the sale. This means at no cost to you, you’re supporting my blog and I thank you for that! Previous Post: « Are Healthy Family Dinners Really Important? Great ideas! 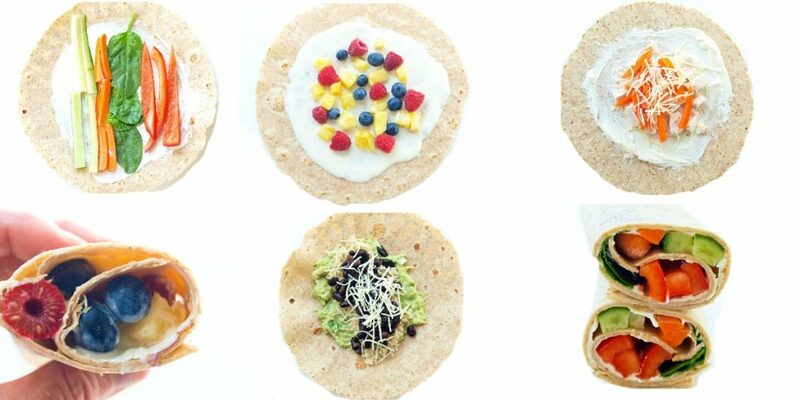 With the smashed avacado wrap, how do you keep it from turning brown by lunchtime? Does the yeast help with this?